The lake which the name Lake Oswego refers to isn’t available to boat on for all… Oswego Lake is a private lake. A lot of people moving to Portland or moving to Lake Oswego don’t always know this. Now, there are some court filings trying to change that, but it will most likely stay private for a number of reasons.In order to get on the lake in your boat you will need to become a shareholder and purchase on of the Lake Oswego waterfront homes for sale or join an easement. There are 20 Lake Oswego easements which provide deeded access to 3000 homes in the city. A home can have deeded rights to more than one easement and residents from that home are allowed to join any and/or all of the Oswego Lake easements that are deeded to their home or they can join none. LOC owns 20 lakeside properties, Easements, that supply deeded lake access privileges to over 3,000 homeowners in the surrounding area. Each easement is governed by its own individual set of by-laws and has its own volunteer board of directors. Facilities and rate structures vary from easement to easement. Call our offices to get confirmation of your property’s eligibility and to find out which easement(s) you are entitled to join. This method is the most affordable alternative to Lake Oswego waterfront and there are boat slips in many of the easements. Here is a great one that we have listed now (pictured above as well). 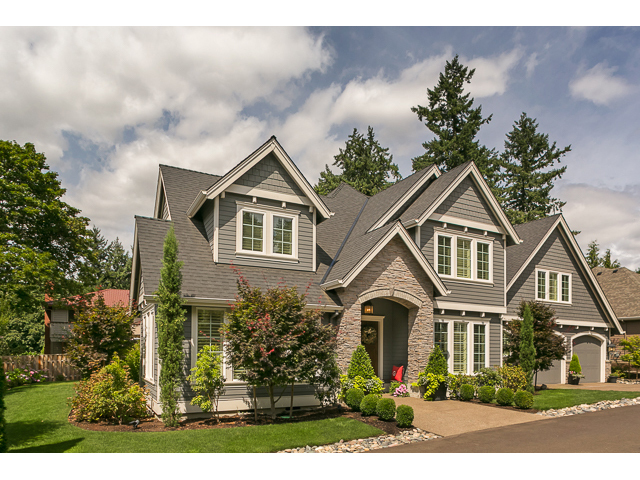 Fabulous location in Lake Oswego’s Uplands neighborhood! Perfect floor plan has 4 Bedrooms PLUS bonus room on upper level. Better than new home w/ fully integrated indoor/outdoor living including SONOS sound system throughout. Live the quintessential LO water lifestyle & join one or more of FOUR Lake Easements. This home has everything you want w/ perks like main level home office, Chefs Kitchen, Bonus Room, Sport Court & 3 car garage. 4688 Firwood Rd – Listed for $625,000, this 5 bedroom Lake Oswego home has deeded rights to private Oswego Lake through THREE Lake Oswego private easements! Enjoy boating on Oswego Lake or just playing in the water! Life is better at the lake! Please call or text or email if you would like your own private showing of this very centrally located home. Walking distance to Zupan, Jefe, schools, banks, restaurants, and bus, this is true charming LO urban living with the perks of a far out suburb sized home. If you are moving to Lake Oswego, Brian is happy to set up an appointment to see this or other Lake Oswego homes for sale. He is an LO Realtor AND resident and looks forward to showing you his favorites parts of town. Mountain Park is a community that is part of Lake Oswego, Oregon. 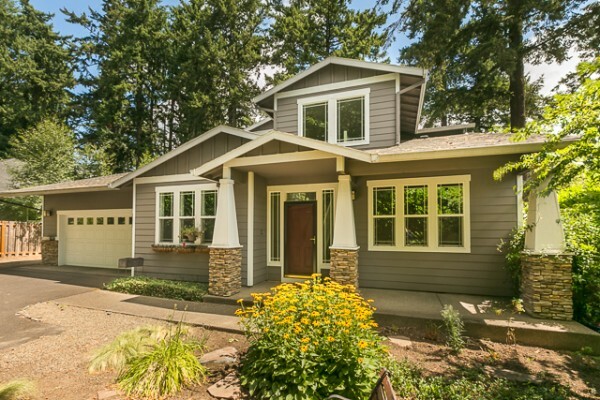 If you are interested in Mountain Park homes for sale or Lake Oswego real estate, then it is important to know that Mountain Park is one of the most extensive planned communities in the United States, established in 1968 over 700 acres of wooded hillside. Mountain Park offers 175 acres of common property for residents and there is eight miles of recreational trails. These a great to get out and move around. There are parks and tennis courts with staffed clubhouse that’s really great! It’s like a recreational center for the neighborhood. The list of amenities goes on and on such as programs for children, yoga, exercise classes heated pool and basketball courts. 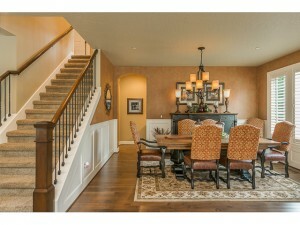 The Mountain Park Clubhouse is located at 2 Mount Jefferson Terrace Lake Oswego, OR 97035. This facility provides a very friendly environment, two pools, hot tub, sports court, two fitness studios, cadio/weight room, game room and saunas with adjacent steam rooms in each of the locker rooms. There is also a preschool that accommodates children from ages 18 months to six years old and the play school at Mountain Park is clean and professional to serve the needs of parents. The motto for the play school at Mt. Park is Dream, Explore & Discover. Contact the office for details on the next OPEN HOUSE at 503 635-3561. Improvements to the community and its facilities continue year round. Recently Mountain Park implemented a “brand”. The Mountain Park community is called Nature’s Neighborhood and monuments have been upgraded at all of the important intersections and entrances to Mountain Park. The Mt. Park logo on each of the monuments is white and a leaf is part of the design. Some folks think it sort of looks like a whale tail. Seasonal landscaping around the monuments features flowers and native plants that highlights the quality of this community. There is a monthly issue of Parkways magazine for schedules and events at the recreational center. There are programs for kids at KidZone and classes for children and adults. The Mountain Park Homeowners Association is another way for adults to get involved with the community. Need A Mountain Park Real Estate Agent? Please feel free to get in touch with me if you would like to see any Mountain Park Homes for sale. I am happy to show you these and more. There has been enough action in Lake Oswego’s waterfront real estate market over the last 30 days to note that sellers of Oswego Lake waterfront properties to be competitive whether you are a buyer or seller. While only one lakefront property has closed in escrow officially, there are a number of them pending as detailed below. On the flip side, buyers have an abundance of CHOICES. This translates to sellers needing to pay particular attention to price and presentation to stand out. In either case, whether you are a buyer or a seller, there are different aspects of the market that should be taken into account. What’s for sale on Oswego Lake right now? Currently, there are 27 Active Lake Oswego waterfront homes for sale on the market in the MLS. These homes range in price from $479,000 to $7,900,000 with a relatively affordable median list price of $1,495,000. The average dollar per square foot on these is $515 and the median days on market is 102 days with a range of 8 days to 398 days. There are five Lake Oswego lakefront homes that are pending in escrow right now. These range in price from $1,349,000 to $1,839,000 with a median list price of $1,579,900. The median days on market for these 47 days and the average dollar per square foot for these is $401/foot. One Lake Oswego waterfront home that was listed in the MLS and is on the lake has closed in escrow. You can see full details here: lo waterfront sold detail 11032013, but basically it was an Oswego Lake waterfront home located at 2240 Summit Court. It was listed for $2,595,000 and on the market for 93 days. It has a final sales price of $2,375,000 which at 5036 square feet is $472/square foot. Stunningly well built traditional w/commanding 180 degree views of Oswego Lake. Located on a rare cul-de-sac this timeless design was built w/tomorrow in mind; 3 stop elevator, floor to ceiling windows, great room concept, large recreation room w/ wet bar, 850 bottle self cooling wine cellar, safe room, large interior shop, oversized 3 vehicle garage, boat house, dock and lift! There are some good choices for waterfront homes on Oswego Lake right now, and of these there is a good range of price and style. You can find homes on both Lakers and Pacers side of the lake and also in a wide variety of waterfront types such as main lake, bay, and canals. Just last week a beautiful home I have been photographing for months came on the market. I would be so excited to show anyone this particular home and the brokers open last week was obviously a hit. Call me if you want to learn more about what is on the market, how much your home might be worth, or just Lake Oswego in general. It is a great place to live and a wonderful place to move to. I look forward to sharing it with you! You can see Lake Oswego waterfront homes for sale on our site. We are also happy to show you out favorites and help you figure out what part of the lake is best for you. Lake Oswego’s First Addition Real Estate is a hot commodity! There are buyers looking actively in this neighborhood, so please let us know if you are even thinking about selling. You might be surprised at how much your First Addition home is worth currently. We recently sold a beautiful home on A Ave and are looking for inventory! First Addition Homes For Sale In The RMLS which are active with no offers. There are 9 First Addition homes available at the moment. These range in price from $575,000 to $1,400,000 with a median list price of over a million dollars at $1,050,000. The median days on market for these homes is 21 days with a range of 5 days to 112 days and an average of 38 days on market. The average dollar per square foot of these First Addition listings is $271. How big is your house? Wondering what updates you may or may not have to do to get it on the market in that dollar per square foot range? We can help and it won’t cost you anything for the information. These are the ones with the offers which have not closed yet… There are 7 First Addition homes for sale which are currently pending listings in the RMLS. They range in list price from $360,000 to $1,195,000 with a median list price of $825,000 and an average dollar per square foot of $304. The median days on market for these is 42 days. Only one actual First Addition HOUSE listing has sold in the MLS in the last 30 days. There are 2 sales categorized in residential, but one is a subdivided lot 1/2 acre lot located at 425 G Ave which sold on 7/15/2013. It was listed for $550,000 and also sold for $550,000. The First Addition home which sold is located at 740 7th St and was listed for $995,000 on 6/20/2013. It sold on 7/10/2013 for $995,000. First Addition Buyers looking for an Agent: As you can see from the numbers above, if you are looking at First Addition homes for sale, then there are not many First Addition listings out there and they sell fairly quickly. Terms are important. Cash buyers are common. Competition is fierce. You need to only talk to Lake Oswego Realtors who are willing to really structure your offer to stand out. If you are thinking about moving to Lake Oswego and wondering if your relocation should include First Addition, we are happy to talk you through some of the neighborhoods in the city.